Letterpressed designs on amazing paper stock. 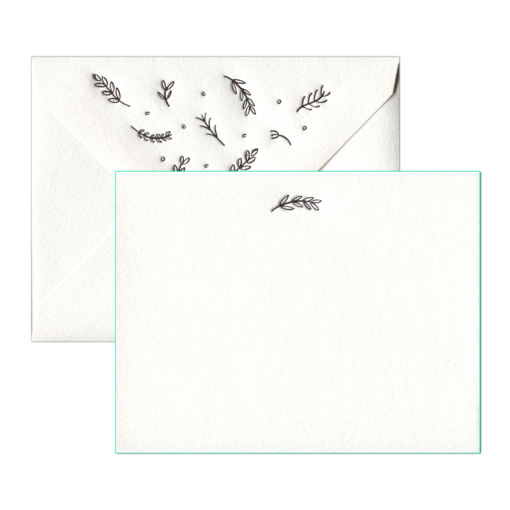 Correspondence flat cards with mataching design on envelopes - box of 8 with fine colored edges. I LOVE this company!